Home→film review→Buxom Beauties! Bizarre Creatures! Gratuitous Violence! When the average viewer thinks about cinema or “the classics” they probably only consider the films they’re likely to encounter on TCM. While that film catalog is certainly worthwhile and a great place to start, it’s also kind of a polished, one-sided look at the industry. To be fair, TCM does a good job of mixing it up a little and on certain nights you can find some unusual offerings, but anyone interested in the other side of film should check out the following documentaries. Currently streaming on Netflix, each of these four films paint a picture of the B-movie scene and how it has evolved over the decades since film was first used to tell stories. 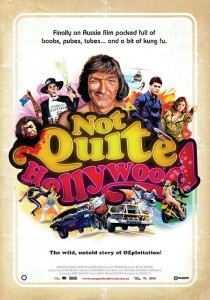 This is a great film to introduce you to the other side of Hollywood. More of an overview really, but if this type of movie making is new to you, you’ll find enough here to make your head spin. 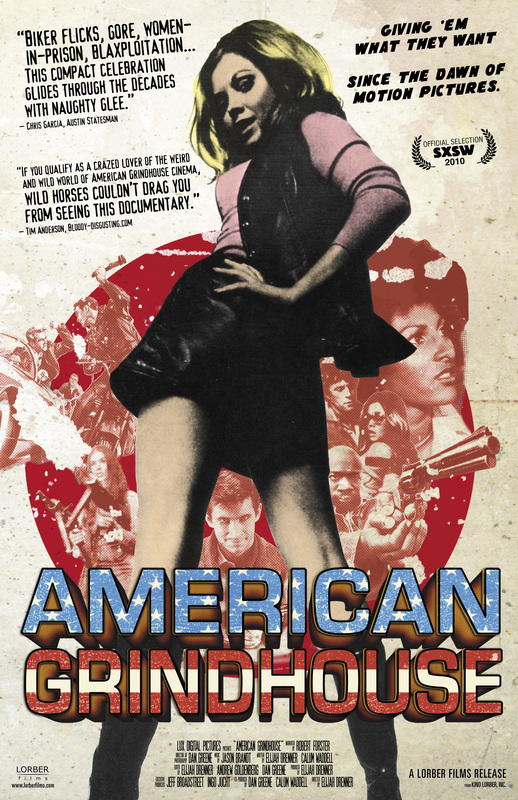 Starting with the concept of the exploitation film and it’s roots, American Grindhouse follows the evolution of the B movie from the earliest days until the introduction of the big budget blockbuster. The film presents the material through a series of clips and commentaries from a wide range of cinema professionals. The tone is conversational and light, with an emphasis on entertaining as much as informing. The real value of this film lies in its broad coverage of the various sub genres and you’ll probably want to watch with a notepad and pencil handy in order to write down film titles to track down for future viewing. One of two films on this list from director Mark Hartley, Machete Maidens Unleashed! focuses on the B movie industry of the Philippines. Unlike American Grindhouse, Machete Maidens really zeros in on the craziness surrounding Roger Corman’s productions in the Philippines in the 1960s-70s. There are a lot of interesting bits here as the film examines the different types of movies that were made during this era, placing them in a historical context in regards to technology, politics and the business of making movies. The clips and interviews with cast and crew from these productions make up the heart of the film and you’ll find yourself laughing and simultaneously shaking your head in wonderment that people weren’t killed by the dozens during filming. As the title would imply, much of the film is devoted to a select group of actresses who took part in the films, and who could rightly be credited for helping to establish a genre unto itself. In a way, they were very much trailblazers and its interesting to hear their perspective on what many consider to be nothing more than exploitation films. While maybe not as informative as it could be, Machete Maidens Unleashed! is an entertaining look at maverick film making in an era where the rules maybe didn’t apply so much. 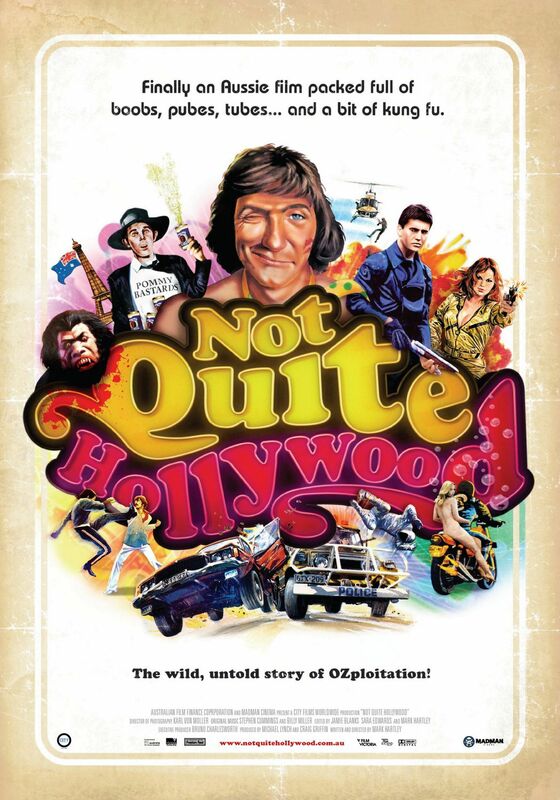 Also from director Mark Hartley, Not Quite Hollywood is an overview of the fledgling film scene that evolved in Australia during the 1970’s-80’s. What’s interesting here is the evolution of the industry as it coincides with the social changes that swept the country during the time period covered. Taking it’s cues from American B movie producers, Australia launched it’s own movie industry catering to the drive-in movie market. Restricted by budget and other considerations, the scene quickly became one of innovation and developed a style all its own. As you would expect, all of the usual genres get their turn in the spotlight, but it’s really the second half of this film, where they begin to discuss the stuntmen and automobile related action, that this feature shines. While not as entertaining as Machete Maidens or as informative as American Grindhouse, Not Quite Hollywood has its moments. As a follow up to the the other films it does offer a different perspective worth examining and highlights a few now classics of the dark side of cinema. Taking a different path from the films mentioned above, Popatopolis provides an overview of American film maker, and B movie legend, Jim Wynorski’s career and follows along as he produces the film The Witches of Breastwick in 3 days. Wynorski is another product of Roger Corman’s movie making machine, and has an insane list of credits in his filmography. Chances are, if you own Cinemax or Showtime, you’ve seen his work, you probably just didn’t know it. Popatopolis is a sometimes fascinating look at the career and personality of one man and his quest to do what he loves, namely, making movies. Over the course of the film however, you can see how changes in the industry have affected Wynorski. While still driven, you get the sense that it’s no longer making movies that drives him, but rather, making money. Commentary from friends and colleagues help paint a full picture as we see the director in action over the three day shoot. In all honesty, the film leaves you with a kind of sadness at what could have been, but don’t let that dissuade you from watching, it’s still highly entertaining. Perhaps more interesting than the transformation of Wynorski, are the many insights into today’s B movie market revealed throught the film. It’s a whole different scene now than it was in its heyday of the 70’s and 80’s. Much of the experimentation and anything goes attitude of the earlier cinema has been replaced by formula and lack of effort, which should give you all the more reason to appreciate the grindhouse of decades past. This entry was posted in film review, history and tagged b movie, blood, breasts, cars, comedy, documentary, exploitation, grindhouse by admin. Bookmark the permalink. Looks like my Netflix queue…Machete Maidens is the only one I haven’t watched yet. My blog will be up and running before too long, hope to see you there. I’ll be adding you! Excellent, I look forward to reading it! I think you’ll enjoy MM, especially if you’ve watched all the others. I hear that there is a documentary on Cannon Films in the works, and I’m really excited about that one.